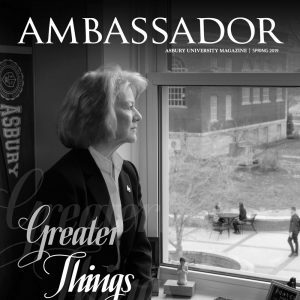 The Ambassador is published four times a year by Asbury University. It serves as a quarterly link between the University and its constituency and builds loyalty and awareness of Asbury University so that readers will joyfully and sacrificially commit to Asbury University's vision and mission. Viaticum is a biannual journal of research and scholarship featuring Asbury University's faculty. 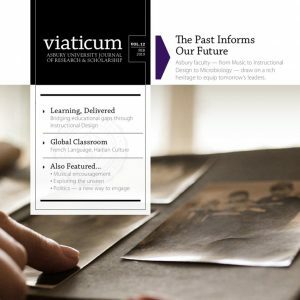 Established in 2011, Viaticum has explored the conversation between Christian education and such diverse topics as filmmaking, environmental field work and moral agency. In 2018-19, Asbury is ranked in the Top 15 of the U.S. News Regional (South) Universities top colleges rankings. AU has been in the Top 15 (including No. 1 in 2015) of various U.S. News rankings for a decade.